David is an AV® rated litigation partner in the Baton Rouge office of Breazeale, Sachse & Wilson, L.L.P. 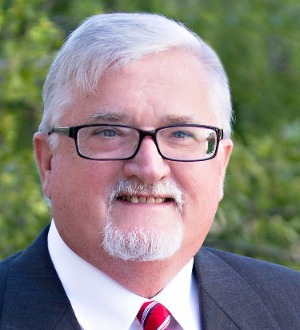 David's principal areas of practice include defense of class actions and multi-joinder claims and personal injury and product liability claims, business disputes, insurance regulatory matters and state, local and federal tax disputes. David has tried over 150 cases to verdict in state and federal courts and has handled appeals before all of the Louisiana courts of appeal, the Louisiana Supreme Court, and the United States Court of Appeals for the Fifth Circuit. He has also represented clients before the Board of Tax Appeals, the Departments of Revenue and Insurance and the Division of Administrative Law, and has been lead chair in a number of extended mediation and arbitration disputes. David has also served as the firm’s General Counsel since April of 2014. David is listed in the 2014, 2015, 2016 2017 and 2018 Nationwide Tax Lawyer’s edition of "Superlawyers" for Tax Litigation. He was also selected by his peers for inclusion in The Best Lawyers in America® 2016, 2017, 2018 and 2019 editions. David was also listed in the 2016 edition of Chambers USA: America's Leading Lawyers for Business for Louisiana in the area of Corporate/M&A.